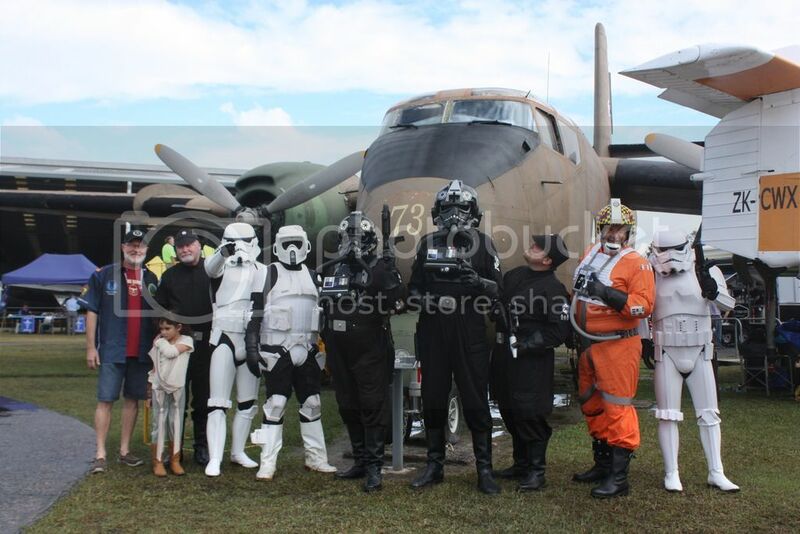 Mission: To yet again wow the big crowds at the Qld Air Museum’s annual Open Cockpit weekend, their biggest fundraising event of the year. 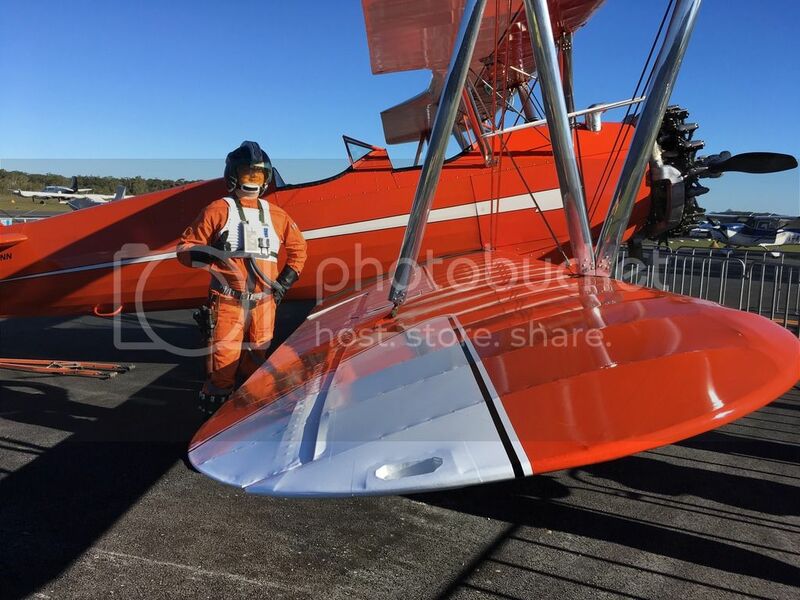 Always a great troop for the aviation enthusiasts amongst us with great photo opportunities as we mingle with the crowd and exhibits. 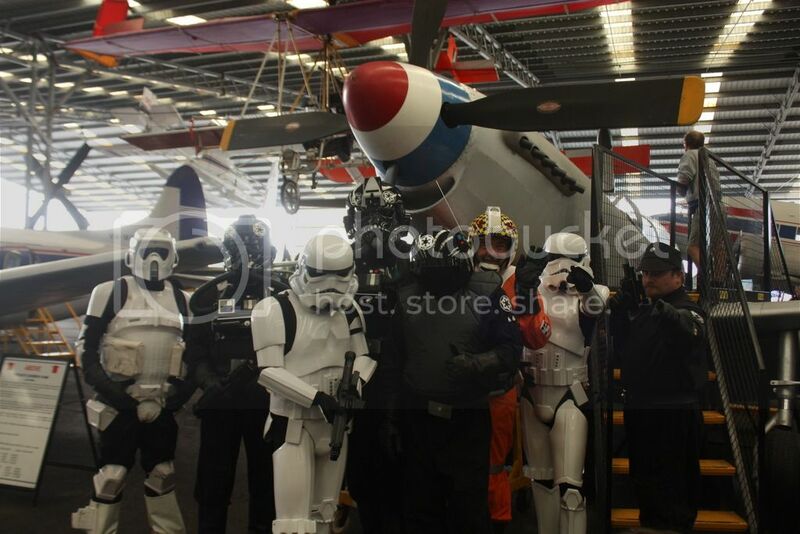 This year we were raising funds for the Royal Flying Doctors Association. 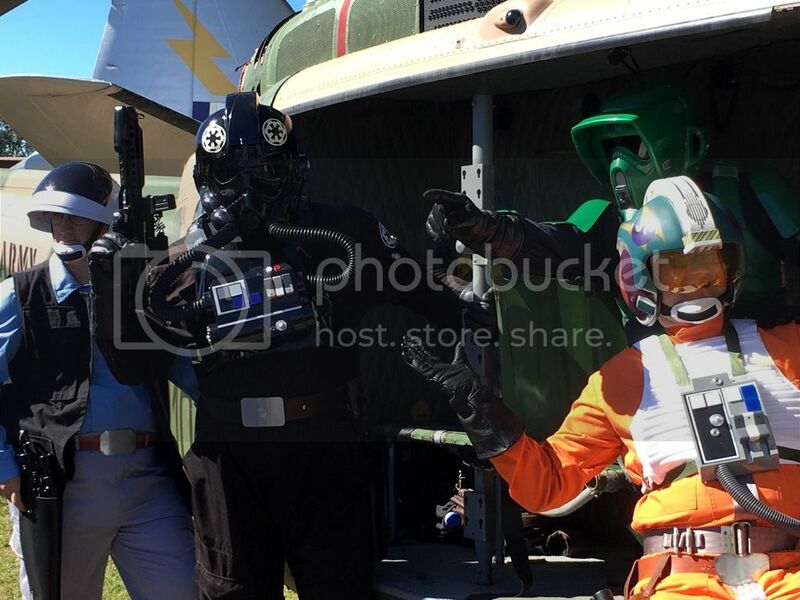 Details: Our 6th year trooping this great weekend event! A rather humid and inclement day met the troopers that fronted up on Saturday morning for Day 1. Rain means mud too which makes manoeuvring tricky for the clean TKs, for TB’s its really just more boot weathering. The crowds were a bit down due to the weather, it got busier towards lunch time. 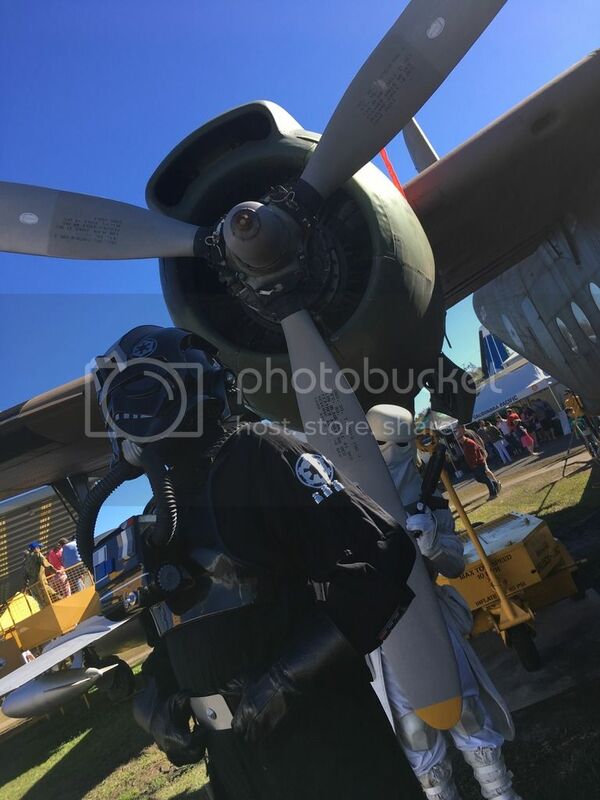 Troopers wandered amongst the aircraft displays and stopped for photos with the public and museum volunteers, well received as always. Notable events was watching Mykill fold himself up into several cockpits, we did a trooper evacuation out of the Caribou aircraft and Huey helicopter. 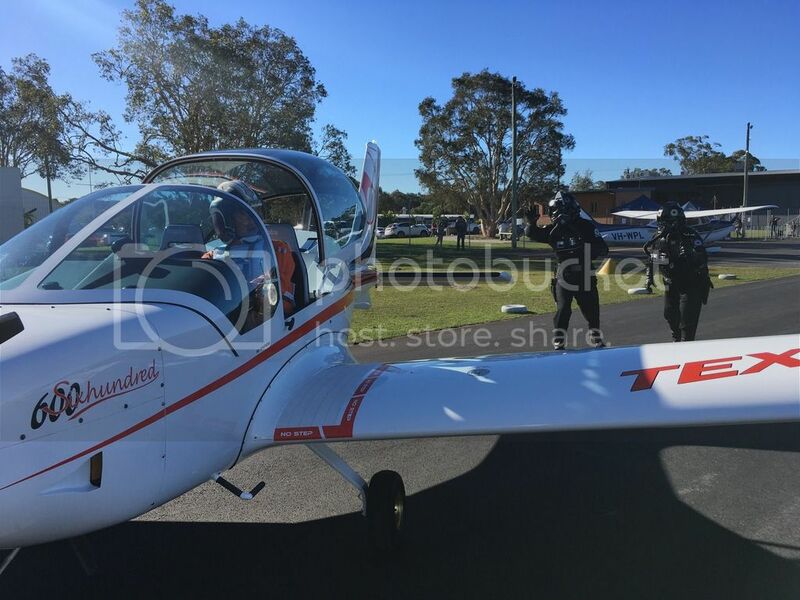 A walk over to the airport and the flight line had Tobalation realise we were on “Pathfinders Drive” so pics were required by the Scout. At the flight line we saw some impressive vintage aircraft including a Russian Yak. More folks were eager for photos with us We ended the day dekitted with a group pic in the Huey helicopter with Scoot in the pilots seat. 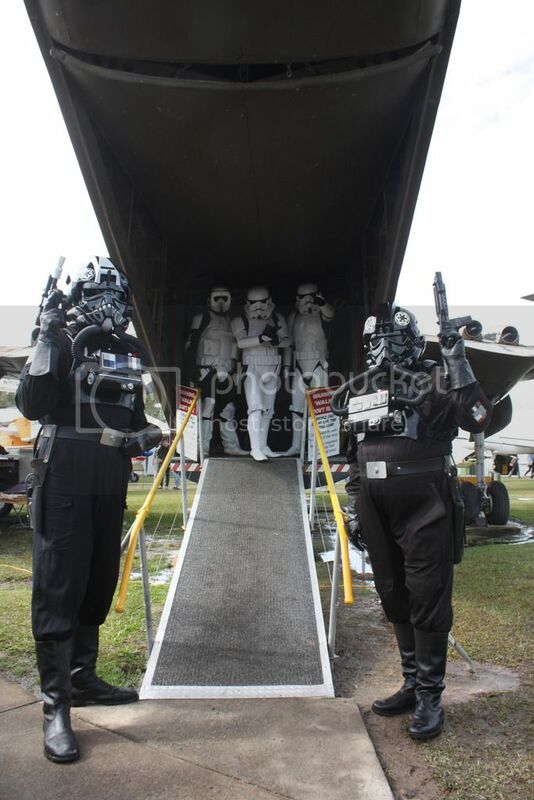 It’s a lot easier to get into without armour and flight suits! I think that could turn into a nice tradition for future years. On the Sunday, part 2 of the mission saw new faces and some first day troopers coming back for more. Big thanks to Drone, Lucy and Mykill for doing both days. 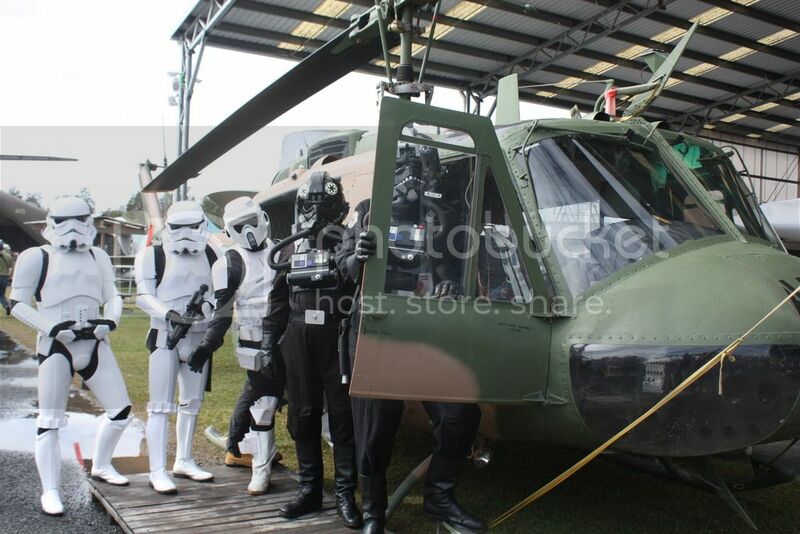 The weather had improved exponentially being sunny, chilly and breezy, perfect for trooping. The ground had dried out a lot more also. 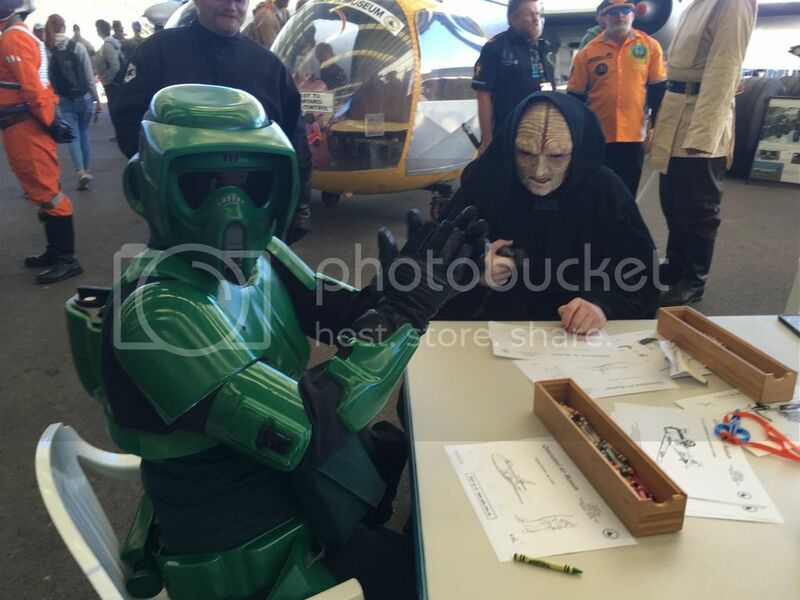 The Emperor joined us for the first time ever, and it was clear the public revered him, especially watching his skills at the colouring in activity table. 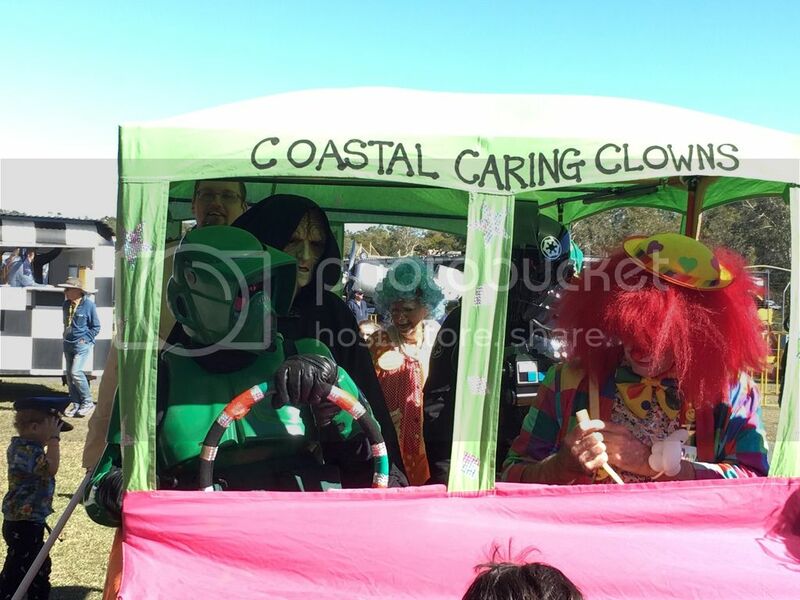 GaugeRage was his usual rambunctious self, commandeering the ‘walking’ clown car and taking the Emperor and others for a tour around the museum. With the sun setting on another awesome weekend, troopers faced the dreaded North Coast to Brissie traffic jam which occasionally resembled a slow moving high way all the way back to the big smoke. Public Incidents: NIL. Mykill avoided all the props and wings!!! Mission Status: “Another happy landing.” Success! 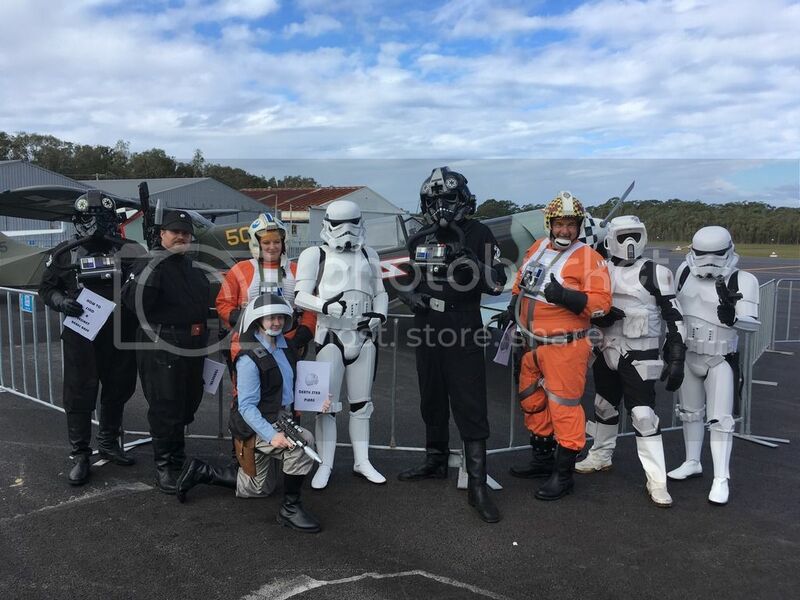 A HUGE thanks to all the troopers that came a long way to make the weekend so fun, and make a great addition to the event. Needless to say we have a standing invite for next year of course. 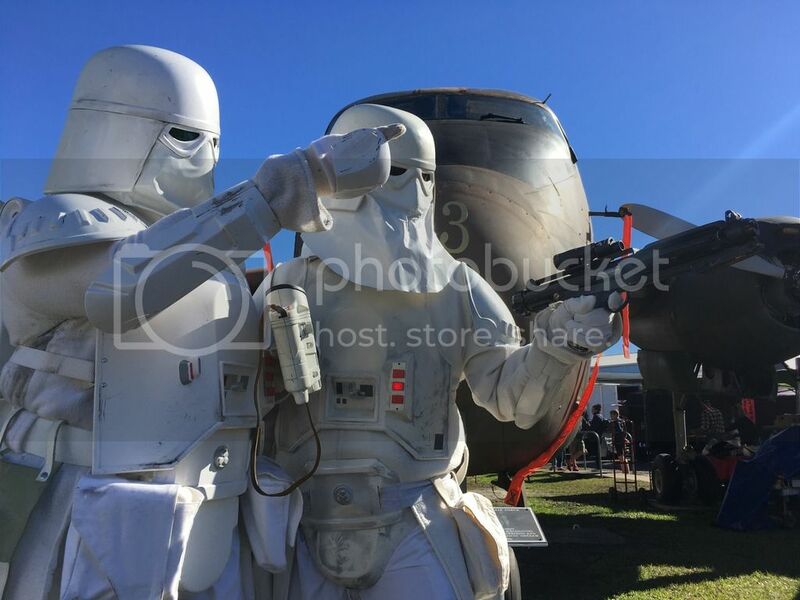 First time for 2 Snowtroopers at the Air Museum! 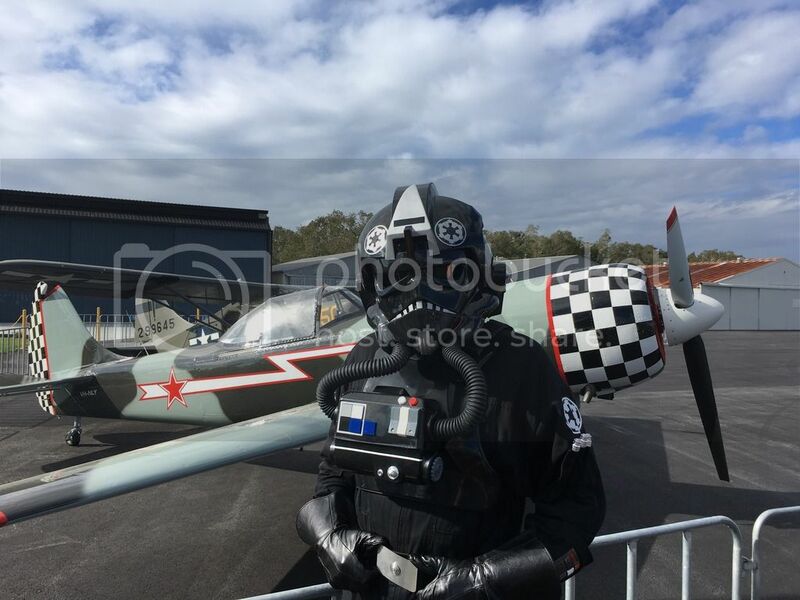 When your aircraft matches your flight suit…. Excellent work team, really hop I can get along to this troop next year. Great Job guys, sorry I missed it. 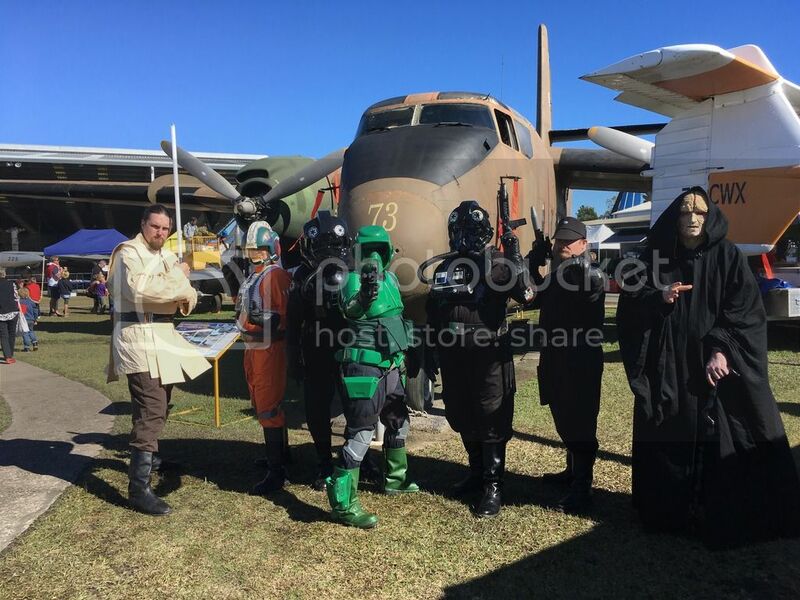 I want to see Baytrooper and Terrorfirma mud wrestle for the flight attendants heart!! An awesome troop as always! Awesome troop and well done to everyone who attended.